Some books you buy because you think one day you should really get around to reading them. This is the very feeling that I had when I snapped up a copy of Penelope Lively’s ‘Moon Tiger’ in a charity shop years ago because it had won the Booker Prize in 1987 and because I thought Lively was one of those authors ‘all book lovers should really read’, we all have books we buy in those circumstances don’t we? And yes I did say I bought this years ago, because after I snapped it up I promptly put it away in one of my book boxes and it then stayed lingering in the TBR pile limbo. If it hadn’t been for Natasha Solomons choosing it as our ‘Reading With Authors’ choice (discussion coming soon) I think that is where it might have stayed, which would have been a crime frankly as this is an utterly wonderful book. There is, I think, a major problem for anyone wishing to write about ‘Moon Tiger’ and that is how to tell people to read the book without divulging the plot. You see ‘Moon Tiger’ is the life story of the beautiful writer Claudia Hampton, told by herself, starting from her childhood just after the First World War up to the present day, where we know she is in hospital at the age of 76 dying of cancer. This should therefore be easy to sum up should it not? Well, no, not really because we don’t get the book in a linear chronology by any stretch of the imagination, we have to work at it, and so (as I am going to tell you that you all have to read this if you haven’t before) it would spoil things to say anymore. I even think the blurb gives too much away. It was actually this stopping and starting, backwards and forwards narrative (which I admit annoyed me for the first fifteen pages or so) that had me hooked into the book. It seems Claudia is in a delirious state, possibly from the drugs I imagine she would be on for her terminal illness, and so is slightly confused therefore her memory flits, and so do the tales she tells us. Only its not just that simple, Lively adds another brilliant twist. We get Claudia’s memories as she sees them, strangely in third person, and as the other person sees them. We get some very conflicting sides of each tale which I found fascinating. In fact sometimes she will do this with a situation but from four peoples perspectives. I loved it, I didn’t think I would but I did and I wanted to see how on earth Lively could keep making this work, which she does effortlessly. It also felt like a book and word lover’s kind of book, in the way Lively writes she almost tells us how she writes. I loved that too. The other thing, apart from the clever way it is told and the great story I cant say too much about, that I loved about ‘Moon Tiger’ was Claudia herself, even though in all honesty she is not the nicest woman in the world. I found her relationship between Claudia and her daughter a difficult and occasionally heartbreaking one. (‘She will magic Claudia away like the smoke.’) She gripes about her life, she has incredibly loose morals (there is a rather shocking twist in the novel that I didn’t expect and made me queasy), isn’t really that nice about anyone and yet I loved listening to her talk about her life. I think it was her honesty. I wanted to hear and know more, even when she was at her wickedest. 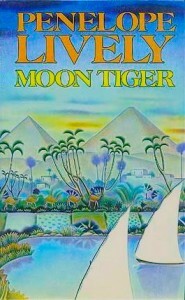 So I loved ‘Moon Tiger’. I don’t think there is much more that I can say other than read it. This is yet another prime example of why I think I need to get off this almost constant contemporary road of reading, I am missing out on gems like this (and I don’t just mean Booker winners or books from the 80’s – I mean all sorts of books) and that is something I have to work on. So a big thank you to Natasha Solomons for making me read this wonderful book. I am very excited that I will be talking about it further with her in the near future, and again with you hopefully. 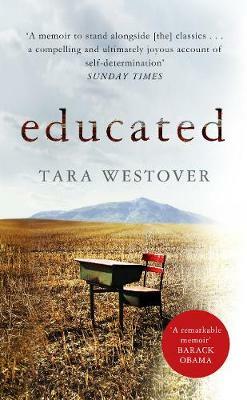 Have you read this and what did you think? Where should I go next with Penelope Lively, I think I could currently happily binge on her books after this one, what would you recommend? I ready this years ago and reread it recently. Wonderfully written, totally engrossing. Its a book I can see I will re-read in the future Sue. I found it a truly wonderful read, I didnt expect to like it so much from the blurb. This sounds lovely. The only Penelope Lively I’ve read is “The Photograph,” and I wasn’t very fond of it. I may have to try this one though, and give her another chance. I have only tried this one, I am sure every great author has a dud (or that author simply isnt for you), I would be shocked to hear of anyone who has read this novel and had not enjoyed it. Genuinely shocked. This one sounds great. The way the book is written seems fascinatting. Its a really unusual style, I was wondering if it would have been seen as ‘experimental’ then. It still reads as a very modern and different piece of writing now. I am sure people will point out this has been done before and since. The style of this novel makes it very difficult not to give too much away, so am glad you think I didnt Andrew. Hope you get around to reading this worthy prize winner soon. Great post, Simon. I can recommend all PL’s novels – she never writes the same book twice, although themes of the unreliability of memory and evidence creep into many of them. I think you will enjoy THE PHOTOGRAPH, but for another devastating read about mothers/daughters/love try HEAT WAVE (about to be reissued by Penguin Modern Classics). Her love stories are great too – CLEOPATRA’S SISTER and CONSEQUENCES. And CITY OF THE MIND, one of my favourites, is a lovely snapshot of late 80s London. Enjoy. Wow, it seems I have some great reading ahead with Lively there Jon, thanks for giving me some tips with where to head next. This seems a very popular novel from a rather popular author and one I think I am going to readlly enjoy getting to know more of the works of. Oh thanks for the link Thomas. I should find the link for the Guardian Book Podcast with her one for you all… hang on… http://www.guardian.co.uk/books/audio/2010/jul/01/fiction-penelope-lively?INTCMP=ILCNETTXT3487 there you go that should do the trick. She comes across really well. I read this book a couple of weeks ago and thought it was wonderful! This is the first Penelope Lively book I’ve read, but I’m sure it won’t be the last. Just finished listening to that discussion on the BBC thanks “Thomas at My Porch” for giving the link! Do check out the Guardian discussion too Sue. I will be listening to the Beeb one later tonight, maybe while I have a bath, that might be quite a nice relaxing sunday evening right there. I read this a few years ago and also loved it. I read Family Album recently and thought it quite pedestrian. Moon Tiger is exceptional and I should reread it. I’m also taking note of the Lively suggestions above! I am guessing, and this really is just a guess, that from the comments I have seen Lively can be a bit hit and miss. I do remember Kirsty of Other Stories reading Perfect Happiness and saying it made her cry. Maybe its like certain pop stars who make one amazing album but follow it with a dud and then get their mojo back again? Can I also put in a vote for some of her children’s novels – particularly A Stitch in Time and A Whisper in Time? Somewhat similar to Meg Rosoff in style and thoroughly enjoyable, even years later! Of her adult novels I loved Making it Up. I hadn’t even thought of her childrens novels Irene, so yes recommend away with those too. Sounds like lots of lovely Lively reading ahead indeed. I loved “Moon Tiger”. When I finished it, I thought that that actual story was unremarkable (reminded me of “The English Patient” for some reason), but the way it was told! All jumbled up and non-linear; it shouldn’t have worked, but it did beautifully. I plan to read “The Photograph” next. Thats a very valid point Ruthiella, and one I hadnt thought about until now. The story isnt that special, its the way its told which is special in itself. My summer reading for senior year English was to read a winner of either the Booker Prize or Hugo/Nebula. Being a nerd, I read several of each, but I loved Moon Tiger so much I chose it to do my report on! This would be a great book to write a report on Eva so no wonder you choose it. There really is so, so much you can say about it, even (as Ruthiella points out) its actually not the most amazing of story’s itself. Its how it is told. I recently read and loved Moon Tiger as well. It is rare for me to like a book in which I dislike the narrator, but PL drew me in and kept me hooked! Other books I have read by her include Family Album, The Road to Lichfield, and Consequences. I don’t think any of them were nearly as good as Moon Tiger, though I remember liking Consequences a lot. Oh I think the fact you don’t particularily like the narrator is one of the wonderful things about this book. Jane Harris has cleverly done this with her new novel ‘Gillespie and I’. You don’t like them but you can’t stop reading them. Thanks for motivating me to re read Moon Tiger. It is one of her very best as others have noted. I loved the description of the mosquito coil burning away, the image that she used for the title and so much more. That will stay with me. It is engrossing to read again and I did enjoy your discussion of it. This series of Reading with Authors is just the best!! Hats off to Savidge Reads. Oh I am so pleased that you loved it Ana. I am always happy when someone loves a book on Savidge Reads… only Natasha needs to take all the credit as I wouldnt have been reading this so soon if it wasnt her choice. Look out for the chat soon. I have read this book three times and listened to the unabridged audio once. I truly feel that one read is inadequate as she has so much to tell. One of her themes is how each individual remembers events, be they small or large. What is history? It it not linear in Ms. Lively’s world, not is it in ours. Interestingly enough The Photograph has this same theme, in a simpler form. Maybe it is time to revisit Moon Tiger?